The macro photograph shows the clarity of the flawless PURE brackets. Made from pure monocrystalline sapphire for a bracket system with the highest transparency available for outstanding aesthetics. Nearly invisible against any tooth shade and stays crystal clear without staining. 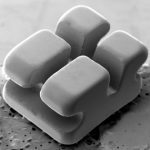 Each PURE bracket has been diamond and heat polished to produce rounded, smooth corners for uncompromised patient comfort. 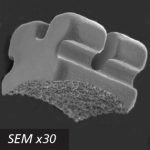 The small bracket size and low profile design also provide a desirable bracket both clinicians and patients will appreciate. The PURE brackets are also functional, the tie-wings are easy to ligate, exceptionally strong and highly fracture resistant. 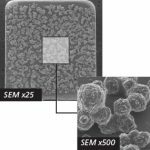 SEM photographs show the unique Double Fusing Method (DFM). The PURE bonding base is coated with aluminum oxide spheres creating millions of undercuts that mechanically lock with the bracket adhesive. This process allows for secure retention during the length of treatment and provides for predictable debonding at the end of treatment. 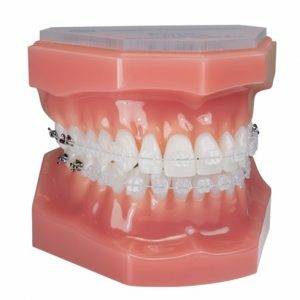 The anatomically contoured bracket base allows for quick and easy bracket placement. 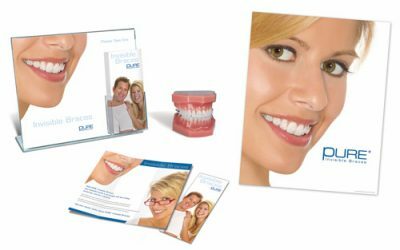 The customized tooth specific design fits the tooth curvatures perfectly to increase bond strength and make bonding appointments a breeze. © 2017 Ortho Technology, Inc. 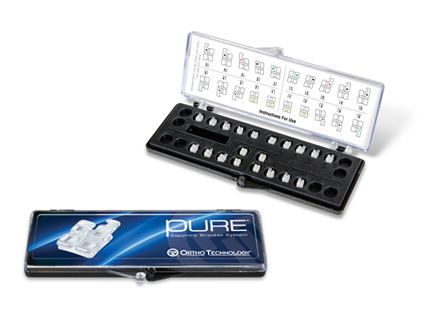 PURE is a Registered Trademark of Ortho Technology. U.S. and International patents pending. 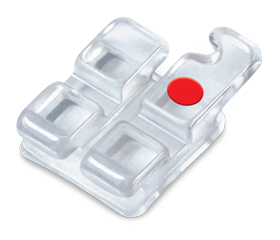 Inspire ICE is a trademark of Ormco/Sybron Dental Specialties. *For Prescription Disclaimer Information, Click Here.